Tech Transfer is a core activity for CONNECT. It involves the capture, management, and exploitation of Intellectual Property. CONNECT supports innovation by providing a supportive environment in which early stage companies may avail of expert advice and research facilities. HaySaver, a Spin-In formed at Trinity College Dublin, has created an Internet of Things device which detects temperature and humidity changes in hay bales and other agricultural matter. It is capable of gathering information on hay quality, nutritional levels, over-heating and mould defects. SiteSpy, a Spin-In to CONNECT at Trinity College Dublin, provides Internet of Things (IoT) solutions for the environmental monitoring and logistics industries. It uses cutting-edge, low-power radio technology to provide data streams from remote sensors. SiteSpy’s core offering is the SenseNet kit: an LPWAN popup network which provides 5 battery-powered sensors that measure temperature and humidity and a cellular gateway hub. ThinkSmarter is a Spin-In to CONNECT at Trinity College Dublin. It addresses the new market for dense network deployments created by the Internet of Things and smart cities. Understanding availability and access to assets and properties in city environments for these dense deployments will become critical. ThinkSmarter is looking to build a database and a marketplace for this emerging market. ThinkSmarter is a collaboration involving CONNECT and Cisco and is headed by Brendan O’Brien, formerly of Cisco. It is at an early phase of development. The commercialisation of research is a priority for CONNECT. The generation and licensing of IP has led to the formation of a number of Spin-Out companies. Founded by CONNECT Investigator at TSSG Steven Davy, LiquidEdge enables powerful, highly targeted real time and programmatic customer engagement by leveraging hidden data from WiFi, social media and other systems. Founded by CONNECT researchers at Trinity College Dublin, Software Radio Systems specializes in high-performance software for wireless systems. It provides modular, portable L1, L2 and L3 software implementations for a range of wireless technologies. Its software-defined radio approach targets commodity processing hardware and flexible RF front-ends to deliver cutting-edge wireless solutions. danalto deploys its Low Power Wide Area Networking solutions expertise to connect enterprises and organisations with the Internet of Things (IoT) to improve business operations, reduce costs and generate fresh revenue. In addition to technology transfer activities which produce an economic impact, CONNECT also values social entrepreneurship. Deirdre Mortell is CONNECT’s Social Entrepreneur in Residence and is director of Social Innovation Fund Ireland (SIFI). SIFI is based at CONNECT’s offices at Trinity College Dublin. 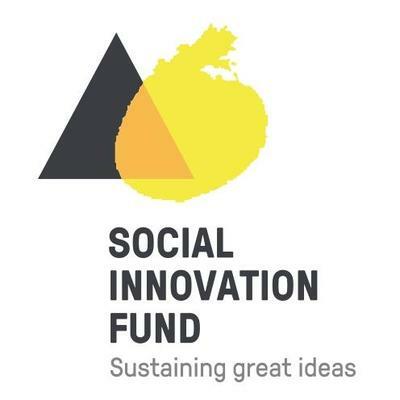 SIFI was created in 2013 by the Irish Government to create a fund of significant size to support the establishment and growth of social innovations with the potential for transformative social impact on critical social issues facing Ireland. It provides growth capital and supports to the best social innovations in Ireland helping them to scale and maximise their impact. Among SIFI’s flagship programmes is ThinkTech, a €1 million tech-for-good fund sponsored by Google.org and the Irish Government. CONNECT members were heavily involved in the ThinkTech evaluation and judging panels.